“This is Tony Von, T.V. on the radio, in living color.” The mellow, mesmerizing voice rolled out of the 1260 slot on the AM dial at 4 p.m. every weekday and at 2 p.m. Saturdays from 1954 until tragedy was a sad silencer in 1979. His real name was Tony Von Walls, and his radio nickname was “the Master Blaster,” but most everyone knew the irrepressible KTAE disc jockey and soul concert promoter as T.V. When the wild sax of Bill Doggett’s “Honky Tonk,” Von’s opening theme, came skronking out of the speakers, a community gathered together, if only spiritually. Austin’s reputation as a town where live music is a way of life, was built not just by the players and singers, but club owners, disc jockeys, journalists and record store owners. Tony Von performed all those duties. Radio was his calling, plus he opened the Show Bar and a record shop on “the Cuts” (popular slang for East 11th Street) in the early ’50s. After selling the club to Charlie Guildon, who later changed the name to Charlie’s Playhouse, in 1955, Von moved full time to Taylor, where he opened another record shop that he could plug on the air. 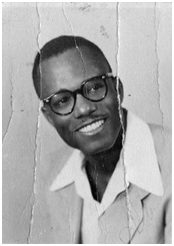 He also brought such acts as James Brown and Ike and Tina Turner to Doris Miller Auditorium, and occasionally wrote for the Capital Argus, a black publication. Von put a lot of miles on his car driving back and forth from East Austin to Taylor. “Tony yielded a lot of power,” Burkes recalls. “He had all the connections.” He didn’t make much money on KTAE, but used those airwaves to his advantage in business. Many of the biggest names in black music played at Von-promoted shows for free (which translated into tons of airplay), while Von provided the backing band, which was usually Blues Boy Hubbard and the Jets. If you liked a song Tony played, you knew it was in stock at Von’s record shop. He always seemed to be working three angles at once. A native of Dallas, Von moved to Austin to attend Sam Huston College. 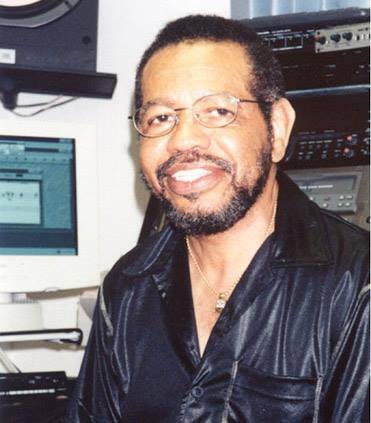 Back in Dallas after graduation, Von got his start in radio at KLIF, but it didn’t work out because Von wouldn’t embrace the corny “Jackson the Jiver” persona radio legend Gordon McClendon had devised for him. Von made a better impression on KTAE owner Gillis Conoley who was looking for a replacement for Jukebox Jackson in the afternoon. KTAE specialized in country and rockabilly, but the station also made time for R&B and Spanish music (Chicano DJ George Martinez followed Von’s show for 10 years). In a 1977 interview with the Austin American-Statesman, Von laid out the inclusive philosophy that made his show a forerunner of community radio. “I have always believed in playing anything by everybody, anybody and nobody,” he told writer Ronald Powell. Two years after the Statesman story was published, Von met his tragic fate in the form of ex-con James Earl Pullins. Von was working in his record shop on East Walnut Street the evening of June 20, 1979, when an intoxicated Pullins stood in the middle of the street and fired a shotgun in the air. Von got his pistol and told Pullins to put the shotgun away and Pullins moved on down the street. He returned a couple hours later, however, and found Von in the Soul-Ful Club across the street from his record shop. One blast from the shotgun killed the black music entrepeneur. He was 54. Having served two prison terms for armed robbery, this third strike against Pullins ensured a life sentence, so prosecutors didn’t try him for murder, thinking his guilty plea on an aggravated assault charge would put him away for good. But after only 10 years in the joint, Pullins was paroled in 1990 because of prison overcrowding. Three years later, he was found shooting a stolen gun in the air in San Antonio and sent back to prison. 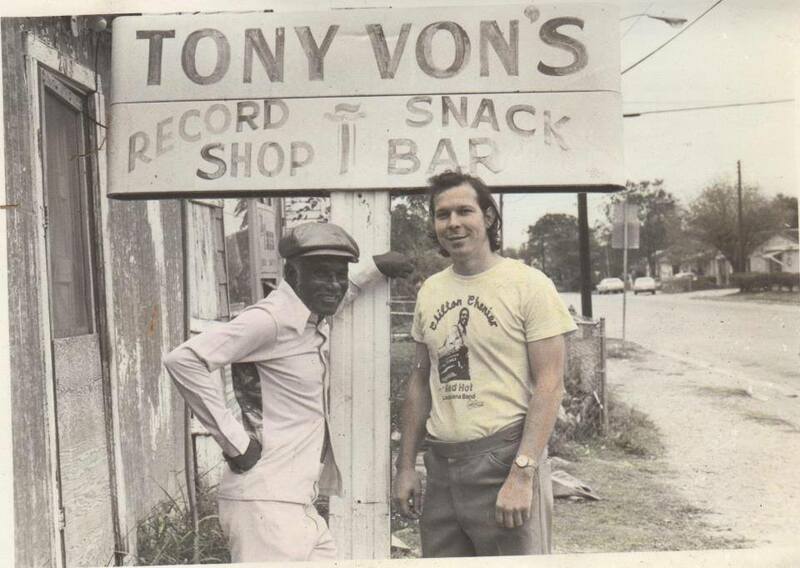 This many years later, Tony Von is not quite as big a local black radio icon as Lavada “Dr. Hepcat” Durst or the great gospel announcer Elmer Aikens, who both worked for KVET. The Brooklyn band TV on the Radio doesn’t even know about the original, having taken their name from British DJ Tommy Vance, who calls himself “TV on the radio.” The catchphrase was born on the second floor of a building in downtown Taylor 53 years ago. The man who called himself that was one of the most important voices in Austin’s African American community for 25 years.